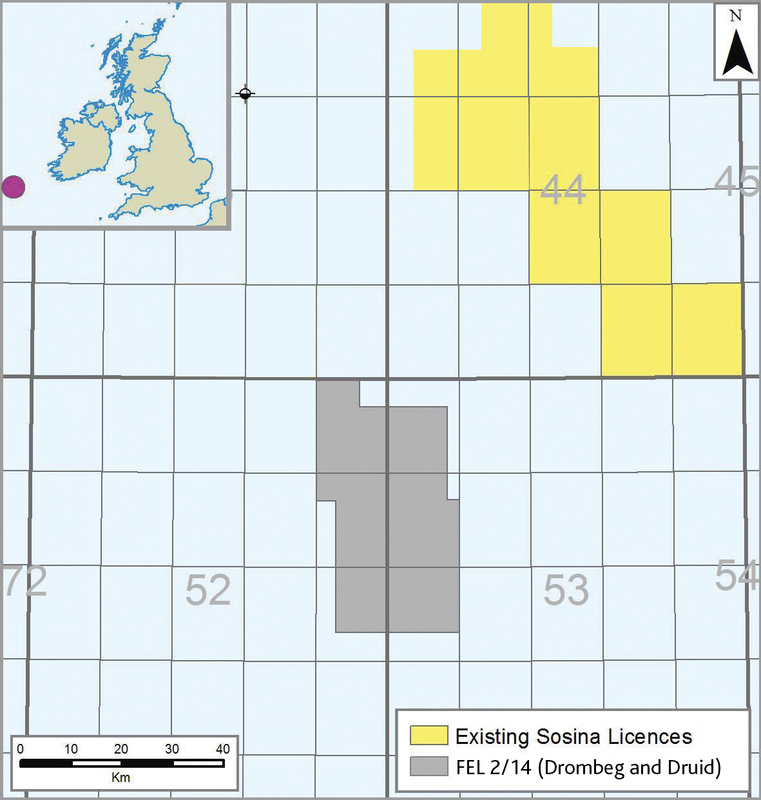 FEL 03/04 was granted in November 2004 (16 year option) and lies approximately 200 kilometres off the West Coast of Ireland. 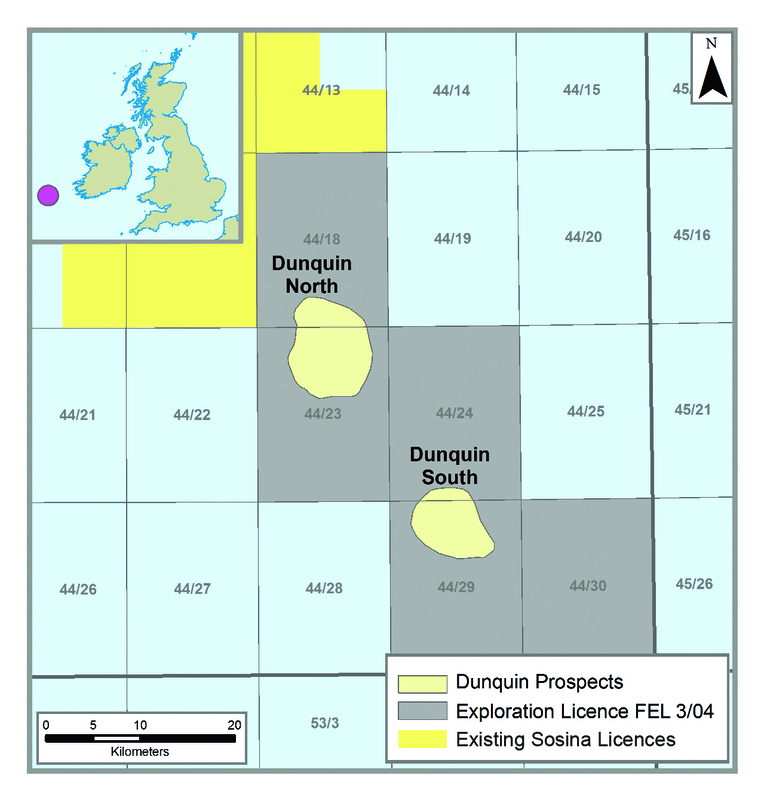 The licence contains the Dunquin North and South gas condensate prospects. Seismic inversion and modelling studies suggest the prospects (in carbonate rocks), have high preserved porosity. The presence of hydrocarbons is also suggested from seismic indications in the overburden, and from the geochemical analysis of seabed gravity cores. The Dunquin prospects (South and North) are estimated to contain reserves of 4.4 TCF and 4 TCF gas and 156 MMBO and 160 MMBO respectively. They lie in 1,600 m of water at a depth of 3,200 m below the sea bed. There is additional prospectivity in fractured chalk above the main reef systems, in overlying Tertiary clastics and in Jurassic clastics at greater depth.